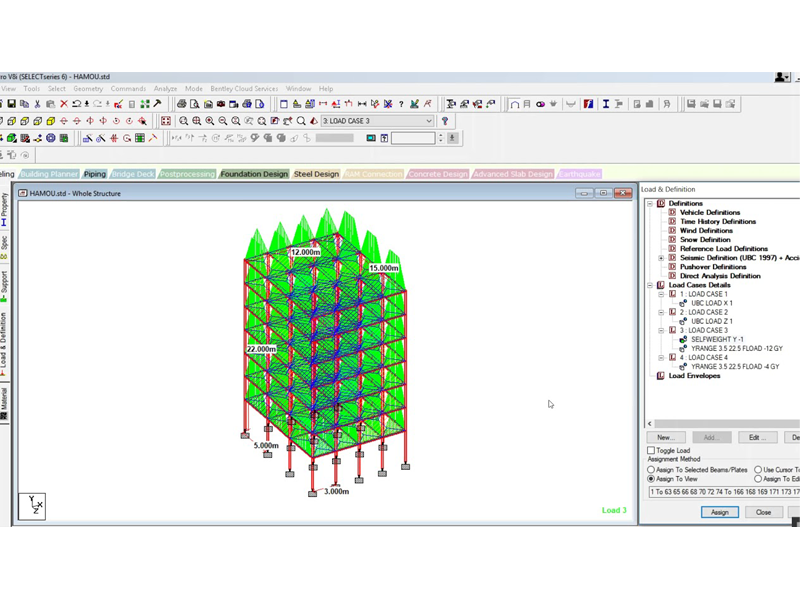 STAAD.Pro is a structural analysis and design computer program originally developed by Research Engineers International at Yorba Linda, CA in 1997. In late 2005, Research Engineers International was bought by Bentley Systems. It is the world's number one structural analysis and design software that supports Indian and all international codes. Structural engineering firms, structural consultants, departments in construction companies, owner/operators, and government agencies, and offshore platform designers use this software extensively. To navigate the STAAD.Pro Graphical User Interface and to Create Structure Geometry. 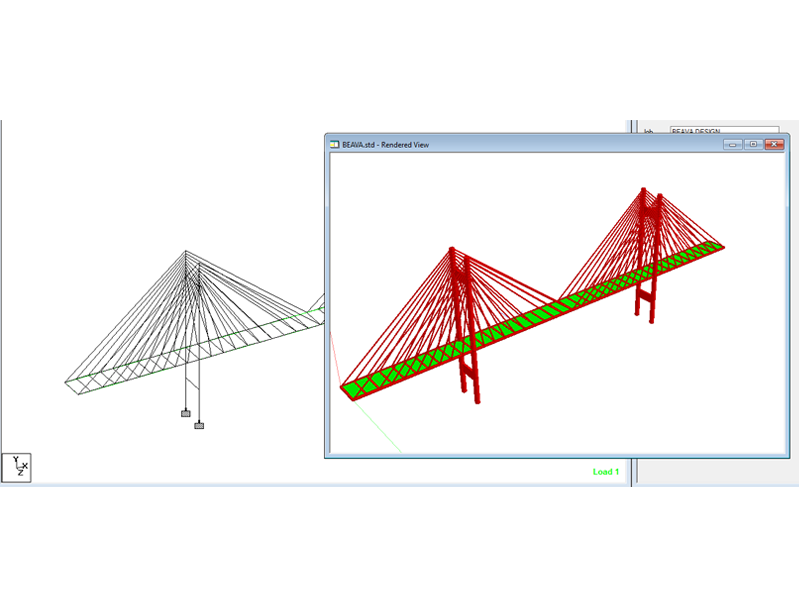 In this software it is easy to edit and view the structure geometry. The whole design of concrete beams/ columns/ slabs are as per all major International codes. Familiarity with general principles of structural engineering. Introduction to CAD /CAM / CAE. Introduction to basic principles of Structural, Analysis and Design. Model Generation, Creating Nodes & Members. Model Editing Tools, Select Menu, Add Beam, Insert Node. Support Specification, Member Property and Material Specification. Loading - Creating a Primary Load. Loading - Nodal Load, Member Load. Wind Load, Moving load, Creating Load Combination. Perform Analysis, Overview of Output Page, Pre-analysis Print and Post-analysis Print. RC Design - Column and beam. FEM Modelling, Generate Plate Mesh, Member Truss, and Plate Load. Slab Design- One way and two way. 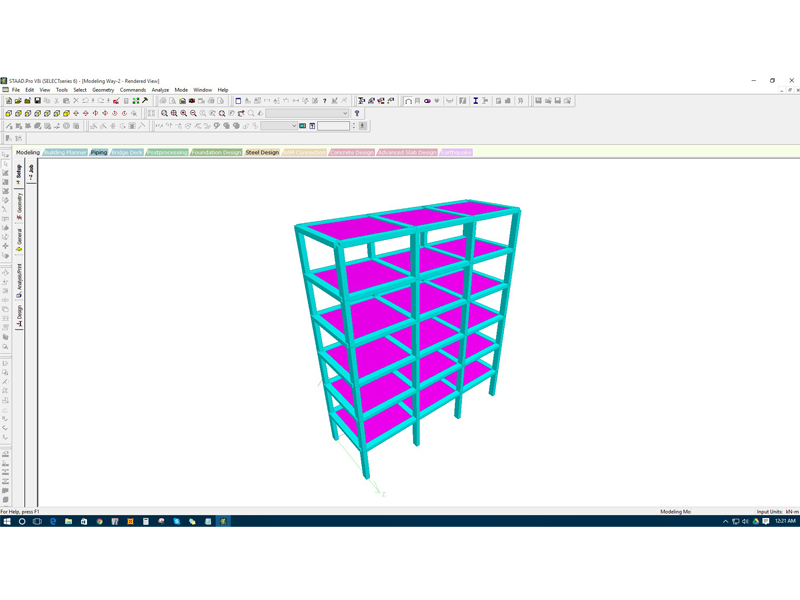 Shear wall Modelling and Design. Introduction Seismology, Dynamic Analysis, Response Spectrum Analysis. Steel Design -Cable Member Specification. 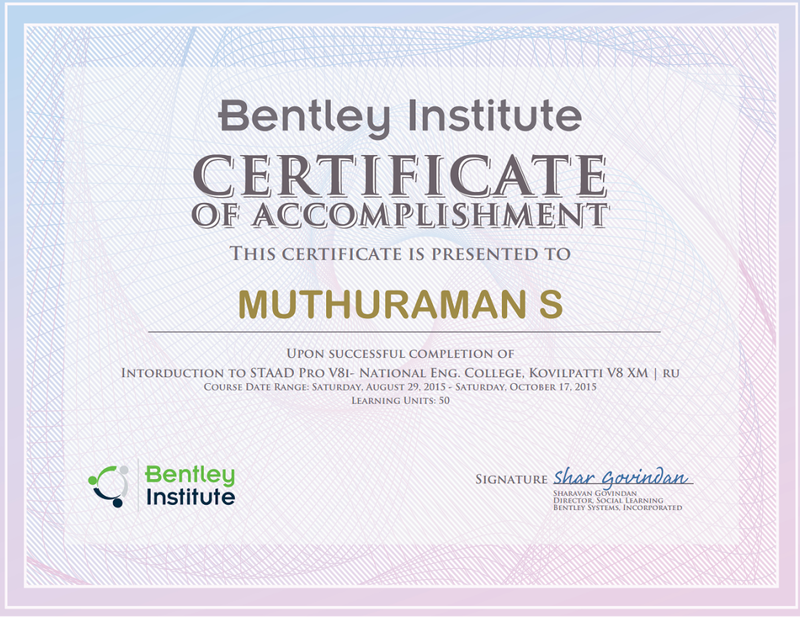 Authorized training Centre by Bentley..
You will know how to use pull down menus, floating toolbars, and tool tip help carry out flexible zoom and multiple views, have isometric and perspective views and 3D shape. You will know how to use built-in command file editor and simple command language design concrete beams/columns/slabs/footings as per all major international codes.